"As soon as I saw him, I knew I wanted to be his foster." Not everyone believes in love at first sight, but that’s the only thing that could describe the immediate bond between this cat and the woman who saved him. Sara Rivers, a 25-year-old counselor at Animal Care & Control Team of Philadelphia (ACCT Philly), the Philadelphia region’s largest animal shelter service organization, came into work as usual a couple months ago, when her boss informed her of a 6-month-old cat in surgery who would need urgent promotion (i.e. calls for support from rescue organizations to take animals into their no-kill shelters). 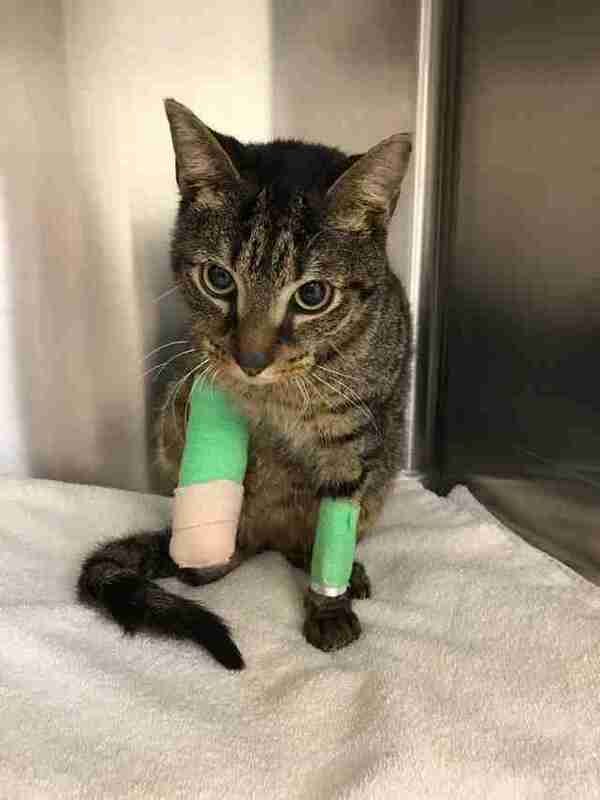 The shelter’s veterinary staff suspected that Nubbies had suffered some sort of trauma and was having trouble healing on his own, though it’s unclear exactly what had happened to the cat. Medical staff quickly put Nubbies on pain medicine and antibiotics, but he had a long road ahead of him. From there, Rivers stepped up, not only as Nubbies’ foster, but as his strongest advocate. Nubbies’ condition would be hard on most animals, but it was especially difficult for Nubbies because of his energetic and attention-loving personality. It was hard for him to stay still while he was recovering — he loves to crawl and throw himself onto people’s laps, according to Rivers. 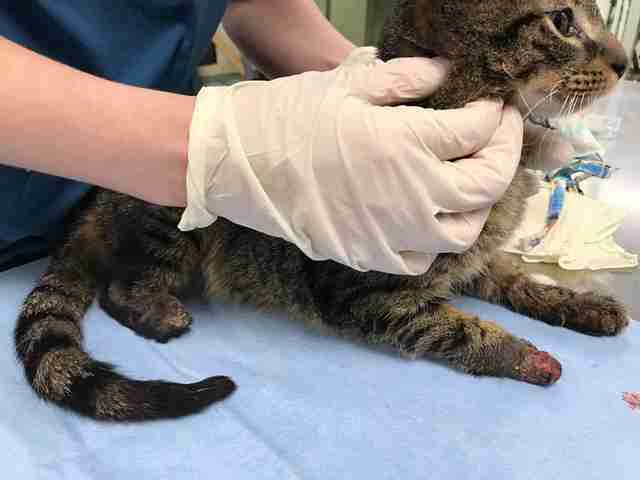 If Nubbies can’t walk or function properly with three legs, she said, The Philly Kitty would consider having him fit for a prosthetic leg. While Nubbies is unable to do much because of his cast and injuries, he LOVES to eat, said Rivers. 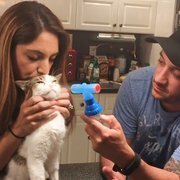 “He also loves being spoiled with cuddles and snuggles,” she said. 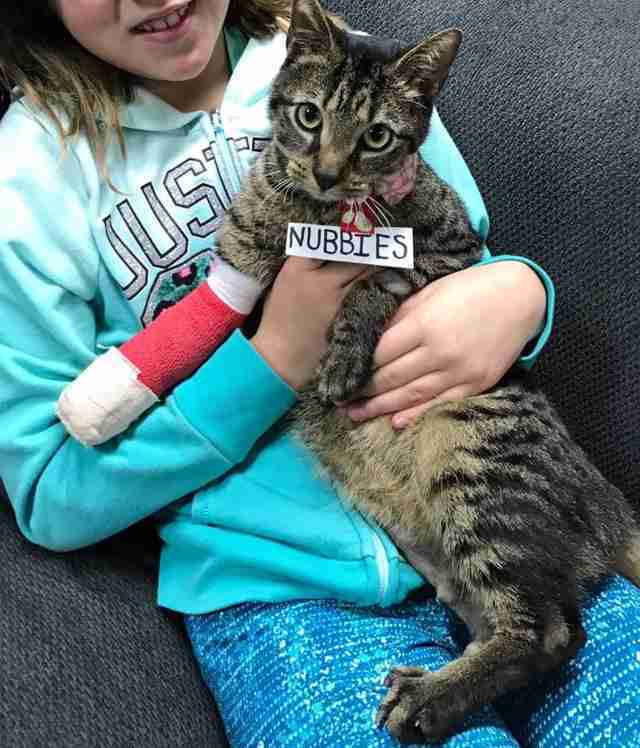 In spite of his injuries, Rivers has fallen fast for Nubbies. “I've been saying that I will never foster fail another cat, but if Nubbies keeps proving what a perfect addition he would be to our family, I might have to go against my word,” Rivers laughed. Nubbies will be available for adoption very soon. 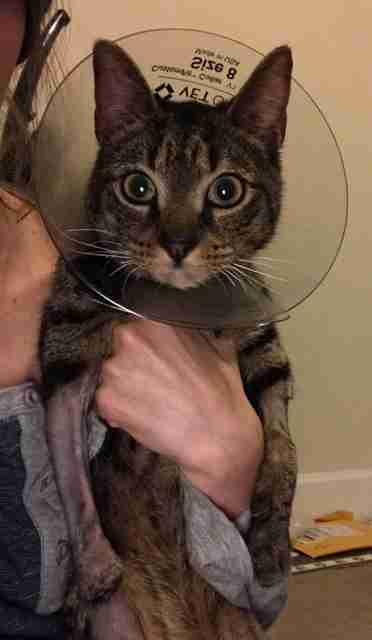 In the meantime, Rivers created a YouCaring page to help fund Nubbies’ care and follow-up appointments, which are integral to his recovery. 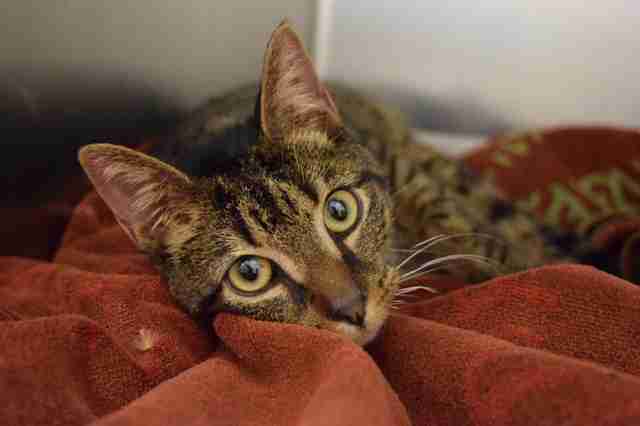 You can also help support The Philly Kitty or ACCT Philly by donating.